Free of added sugars, artificial preservatives, by-products, artificial colors, protein-meals, soy, wheat, corn, fillers, and freeze-drying. Moist for training dogs of all sizes. 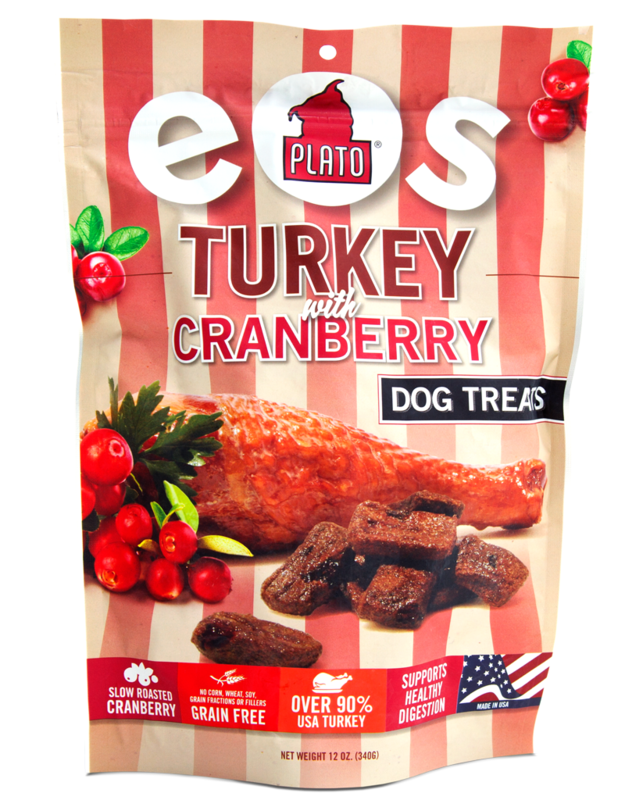 Because Plato Real Strips are single-source novel protein treats – not a mix of different meats, they are especially good for dogs with skin issues, allergies, and food sensitivities. 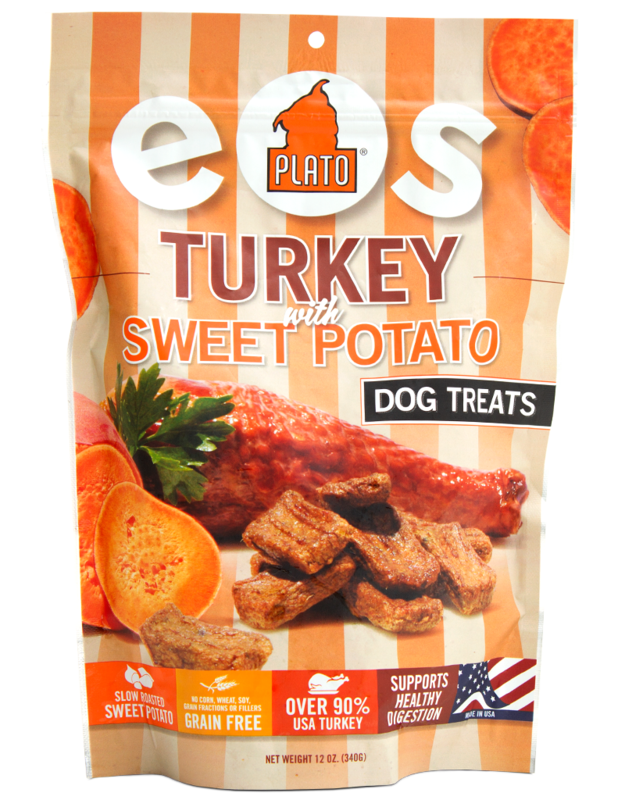 Grain-free and gluten-free, Real Strips Turkey EOS is slow-baked with all-natural sweet potato that supports healthy digestion. 3.28Kcal/gram; 23 calories per treat.